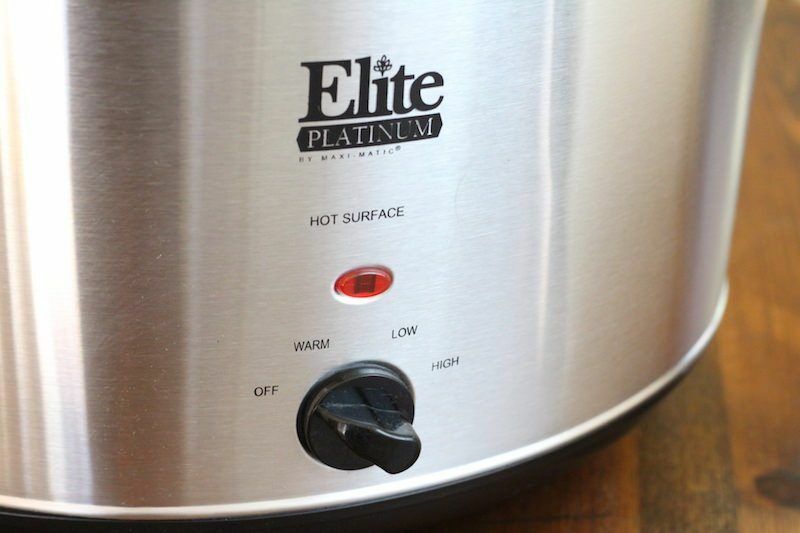 Elite Platinum Maxi-Matic 8.5 Quart Stainless Steel Slow Cooker Review , but not on the Top 3. 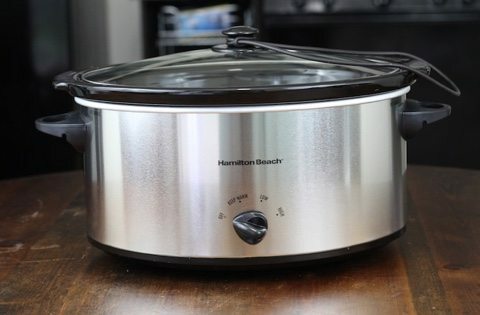 This is a pretty basic slow cooker, but it feels very high quality. There may not be any fancy programming features, but it does have an on/off light, which can be useful. For some reason, whenever I use a slow cooker without the ON light, I always wonder if it's really working or not. I have to come back and check it in 15 minutes to make sure it's warm. So the light feature is welcome! The crock and lid are dishwasher safe too, but that's pretty standard as well. One thing I wish this particular slow cooker had would be a longer cord. Not all kitchen counters were made for such a large device! So not only are you limited by the size of the appliance, but you have to find a place that's very near the electrical outlet. 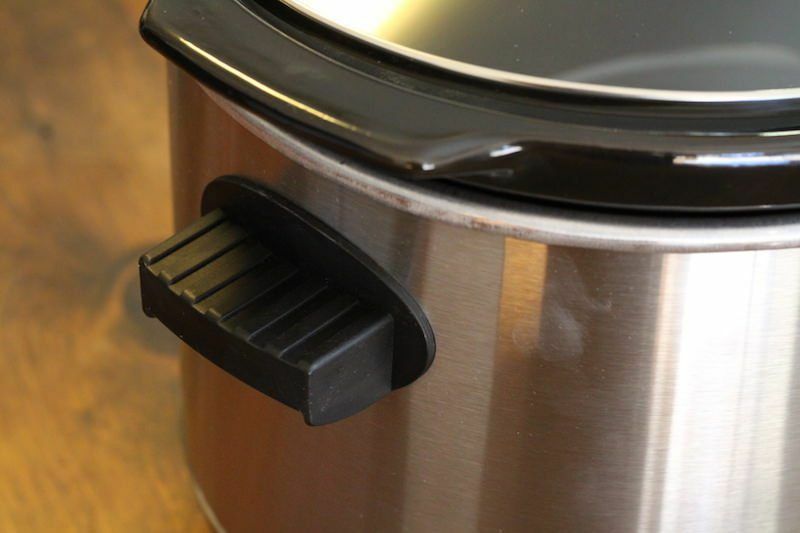 Having a longer cord would help you find a much better spot to leave your slow cooker for the day or over night. What's surprising for the Elite Platinum 8.5 quart is that it comes in two different colors. The larger slow cookers are usually very utilitarian and come in just one color: stainless steel/silver. For whatever reason, these large Maxi-Models come with the option of red or white in addition to the regular silver color. Watch out though! They aren't priced the same. Remember you can have one listing on Amazon with multiple sellers. So while the silver version is more than reasonably priced at under thirty right now, the white version is selling for over a hundred. Wow! Even if you have a white kitchen theme, I doubt that the cost would really be worth having a matching appliance like that, or you could get a smaller slow cooker in white with a more reasonable price. 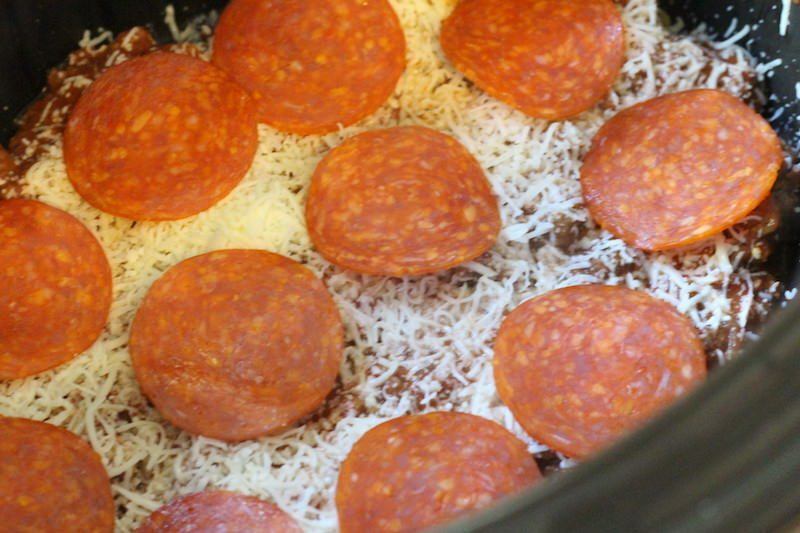 I had big plans for this slow cooker, so to test out the Elite Platinum Maxi-Matic I made a slow cooker pizza lasagna. Unfortunately, I burned the heck out of it. It had so much potential! It was looking delicious and cooking along nicely, giving the kitchen a wonderful pizza aroma for about two hours. 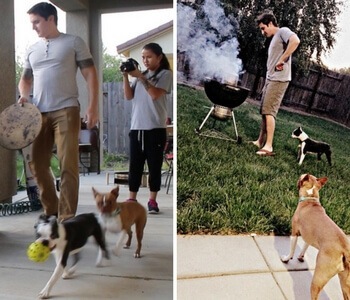 Then I went to do some yard work. Two hours later it was burned to a crisp and inedible. I am pretty sure I let my slow cooker cook my lasagna for more than 5 hours so I'm not sure how this one got burned so easily. And yes, I cooked it on low. Maybe I didn't add enough liquid? I'll have to tweak this recipe before I publish it to make sure it's right. Anyway. 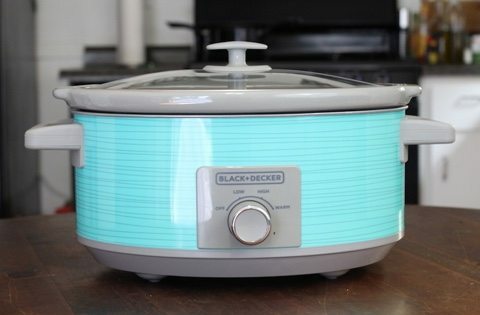 I still have this slow cooker and will test another recipe and publish the results. One thing I did notice while cooking is that the handles seem to be a bit small for such a large appliance. If I'm carrying 8+ quarts of hot liquid I want to know that these things are secure! I didn't have any accidents, but I did notice that the handles seemed like little T-Rex arms on this monster of a slow cooker. The main comparison I want to talk about here is the Gourmia SlowSmart vs. the Elite Platinum. In my review of the Gourmia SlowSmart I named it as my #2 choice for large slow cookers. With an extra large capacity, it was noticeably larger than other slow cookers, but didn't seem to overwhelm my kitchen. In terms of looks, that's not the case for the Elite Platinum. I think because the logo, handles, and dial are so small, it makes the Elite Platinum seem much larger. Actually, according to the dimensions listed on Amazon, the Elite Platinum is 14.5 x 14.5 x 11 inches in while the Gourmia SlowSmart is 11.5 x 16 x 11 inches. It is bigger! I'm not sure how they fit the same size crock capacity into a smaller container but the SlowSmart does seem to present itself in a more attractive manner than the Platinum. Regarding price, there's a big difference here. Though prices change daily when listed on Amazon, I sourced prices from a variety of places. The SlowSmart is consistency costing about 2x what the Elite Platinum does. That is definitely taking into account better design, a smaller appliance for same cooking capacity, brand recognition, and of course it's programmable as well. What price range are you looking at? 1/2 the cost is pretty attractive, but you are giving up the ability to program. Plus, if you use the slow cooker for more than a year, is the extra forty dollars worth the savings over an entire year? That's about ten cents per day or less. For me, I'd rather have an appliance I love using and love looking at, but I understand the attractiveness of saving money when you can, especially if you're cooking for a big family. Also, don't forget there's a programmable version of this slow cooker (same brand) that's available on Amazon. It looks very, very similar to the Gourmia and is usually available for a slightly cheaper price. Who Is 8.5-Quart Maxi-Matic Best For? The Elite Platinum 8.5-Quart Maxi-Matic slow cooker is best for a large family on a budget. You get all the standard slow cooking features with an extra large capacity. The no-frills approach to design means you save a bundle when you buy this model, versus other similar sized slow cookers with extra features you probably don't need that much. 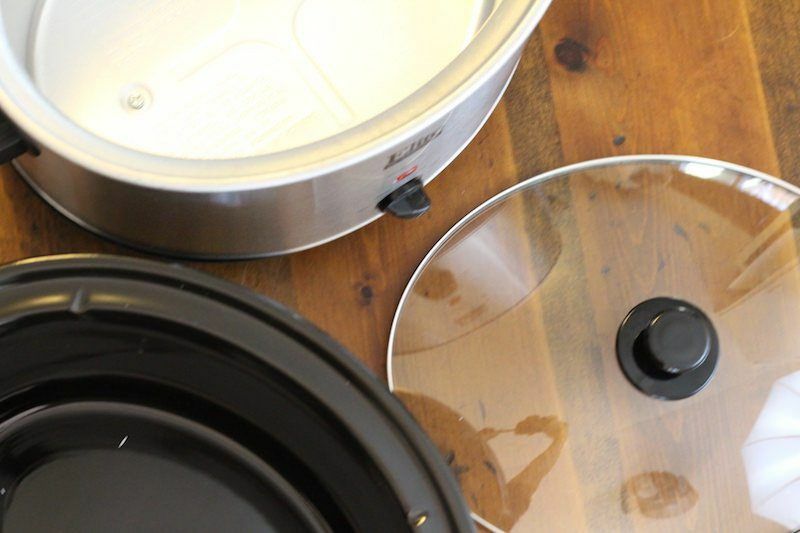 It's also a great cooker for meal preppers. You could set a meal cooking on Saturday night, and wake up ready to pack your lunches for the week on Sunday. Large capacity means less time in the kitchen preparing your meals! 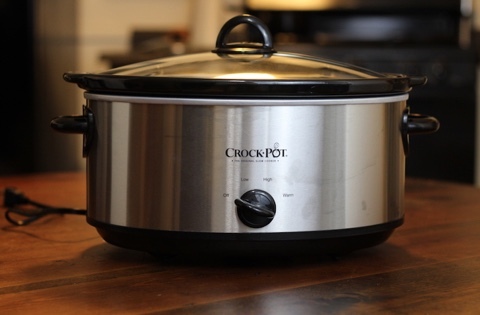 This was a very good slow cooker for the price. Considering that some 4-quart slow cookers cost more, the fact that this one costs less than that is pretty amazing (it's double the size!). Of course not everyone needs this big of an appliance, so it's best for someone with a need for making large meals. Personally, I prefer the Gourmia 8.5 quart but the Elite Platinum is also a very good choice. ==> Get The Elite Platinum Maxi-Matic 8.5 Quart Slow Cooker Here! 28 Gluten-Free Stuffing Recipes Great For The Holidays Or Any Time!